Keep seeing and looking your best by having your eyes checked annually. Many of Dr. Anderson’s patients come in for an eye exam to make sure their eyes remain healthy. 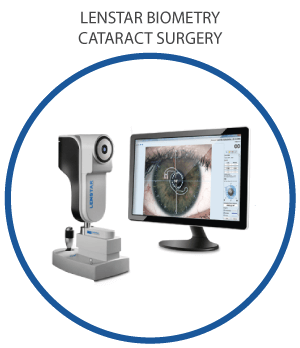 At your first visit and depending on your eye health, you will undergo a complete Ocular Analysis using a panel of the most advanced and proven diagnostic technology available. 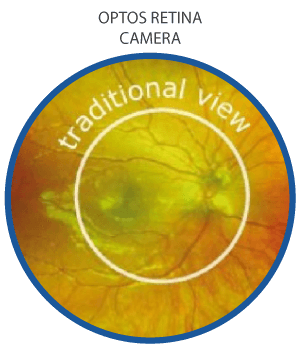 All the tests are pain free and similar to have a photo taken of your eye. What Does the Eye Exam Diagnostic Panel Include? 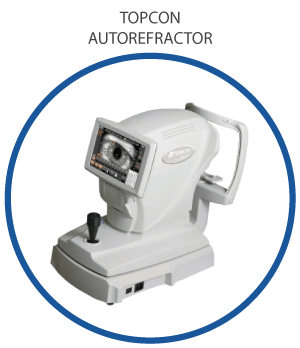 A slit lamp examination of your eyes will then be done to check for all eye diseases including blepharitis, dry eye disease, cataracts, diabetes, glaucoma, and macular degeneration. What If I Just Need an Updated Eyeglasses Prescription? 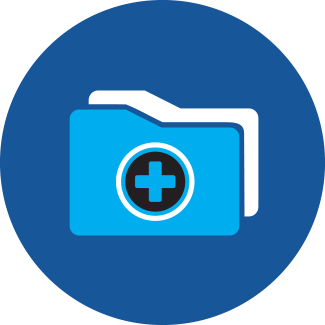 To decrease out-of-pocket costs Dr. Anderson performs only applicable tests that are needed to address your symptoms and concerns. A routine vision exam is a brief office visit to check vision, screen for eye disease, and update an eyeglass or contact lens prescription. It does not cover medical eye problems such as cataracts. In some cases, a vision exam can transition to a medical or comprehensive eye examination if during the course of the examination, Dr. Anderson discovers a condition that requires additional diagnostic testing. A comprehensive eye exam is like a visit to a medical doctor. It is more than checking for a prescription for eyeglasses or contacts. It typically includes a dilated eye examination and advanced diagnostics to fully evaluate your vision and the health of your eyes. A comprehensive eye exam can identify diseases in their early stages, when they’re most treatable, such as cataracts, glaucoma, diabetic retinopathy, and macular degeneration. Some of these diseases cause few symptoms and, as a result, may go undetected. Several systemic medical conditions can also be detected such as high blood pressure and diabetes that cause certain changes in your eyes. Individuals with medical eye diseases receive benefits for the management and treatment of their eye diseases as part of their medical insurance coverage. How do you read an eyeglasses prescription? The letters OD and OS: OD stands for the right eye or “oculus dexter” and OS stands for the left eye or “oculus sinister” in Latin. “Sphere”: A minus sign means you are nearsighted and a plus sign means you are farsighted. “Cylinder”: This is the power needed to correct astigmatism, which creates blurry vision at any distance. 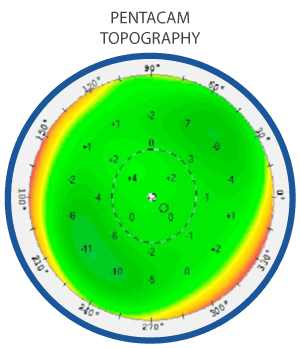 “Axis”: is a number between 1-180 indicating the axis of your astigmatism. What are Some Common Eye Conditions? Dry eye disease (DED) – also known as dry eye syndrome (DES), and keratoconjunctivitis sicca (KCS) – is a multifactorial disease of the tears and the ocular surface that results in discomfort, visual disturbance, and tear film instability with potential damage to the ocular surface. Over-the-counter drops may reduce the symptoms and provide relief – but if symptoms persist, you should have Dr. Anderson perform an evaluation. He will prescribe a customized regimen of drops, ointment, warm compresses, and punctal plugs if needed to provide you the most relief. 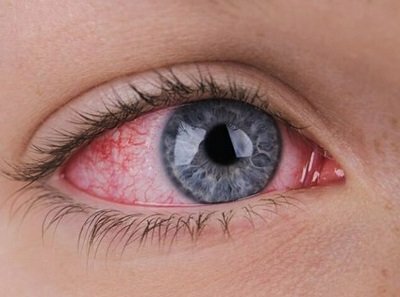 A pterygium is a fleshy tissue growth that starts in the white part of the eye and extends over the clear part of the eye or cornea. Pterygium are caused by lifetime exposure to UV light. Eye drops can be used to alleviate the redness, but surgical removal is needed if vision is affected. 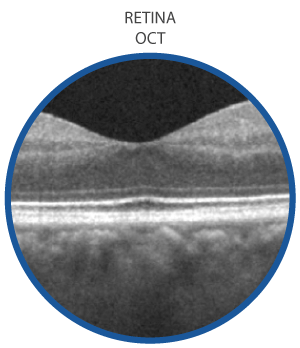 Dr. Anderson, Ophthalmologist, based in Colorado Springs uses the latest surgical techniques with a conjunctival graft or biologic tissue (amniotic membrane) and fibrin glue to reduce the rate of recurrence and improve recovery. Blepharitis (blef-uh-RYE-tis) is inflammation of the eyelids. It commonly involves the eyelid margin tear glands and the eyelashes. The tears glands normally produce an olive-oil-like component of natural tears called meibum. In Blepharitis the eyelid glands are inflamed and produce an oil that is thick, creamy colored, and waxy. This is called meibomian gland dysfunction or blepharitis. Insufficient oil production leads to dry eye disease. Learn more about Blepharitis Here. We look forward to caring for you and your family’s visual and health needs. Thank you for trusting us with your precious sense of sight and welcome to our family of patients.